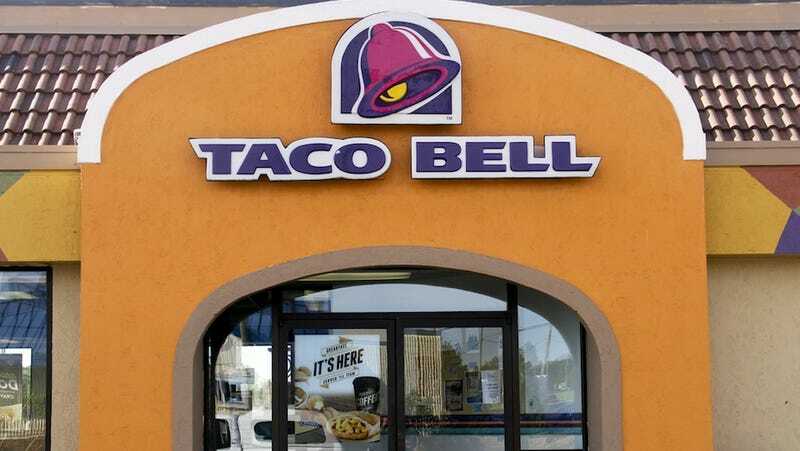 A poor, innocent Taco Bell restaurant was found to be doubling as a meth lab in Cedar Rapids, Iowa. Two men, who were apparently acting out a scene Breaking Bad, were arrested and charged with conspiracy to manufacture methamphetamine. First the In-N-Out meth milkshake and now this? The drug operations was discovered when authorities responded to calls about suspicious persons in the wee hours of Tuesday morning—way later than “fourth meal” time. Upon entering, officers found meth lab remnants, thought it was unclear if the meth had actually been cooked there or brought in from elsewhere, according to Eater. Taco Bell released a statement saying that one of the suspects was an employee. Needless to say, he has been fired.